Concrete block walls are prone to bowing. 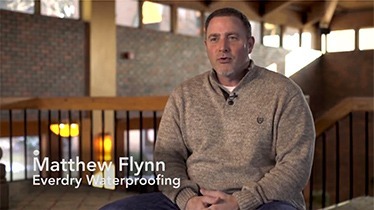 Hydrostatic pressure, water pressure building up in the soil outside the foundation wall, is typically the causes a wall to bow. 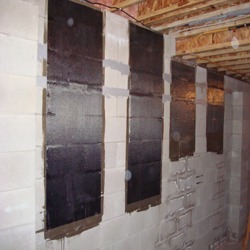 If a bowing wall is left alone, it may collapse; it needs to be structurally reinforced. If there is a serious bow in the middle of the wall you can use steel beams. 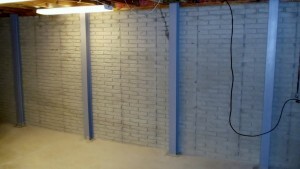 Steel beam systems are also often used to counter a bowing wall. The traditional steel beam method requires drilling a hole into the basement slab then placing the steel I-beam on the footer. The contractor replaces the concrete around the beam and secures it to the floor joists. 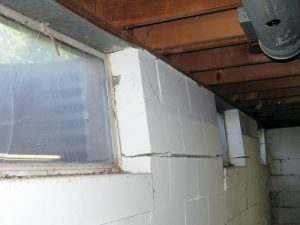 Experts in using steel beams to fix foundation issues, Everdry Waterproofing will be sure that these are installed correctly. 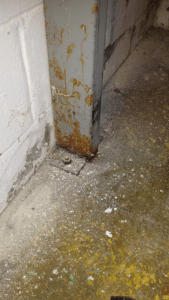 Our expert team knows what to look for to ensure the longevity of this sort of repair, and we are able to ensure that the foundation is much safer.